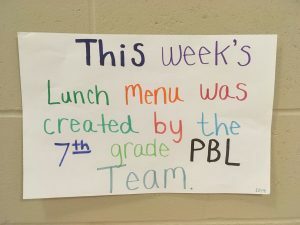 Earlier this school year, the 7th grade PBL cohorts learned about how to put together a school lunch menu. They learned about the federal nutritional requirements, costs per serving, and surveyed their classmates about favorite lunches. 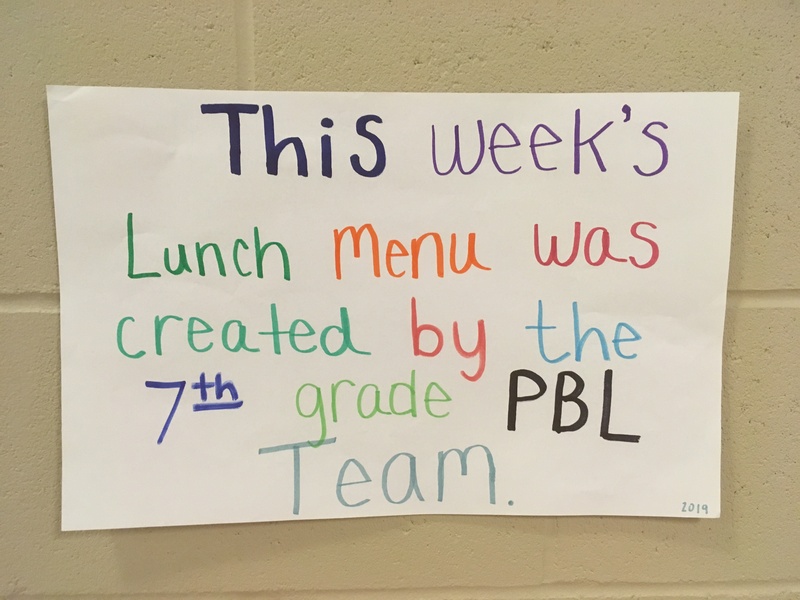 They were tasked with creating a week-long menu and that menu was used for this week’s lunches.